A teenage girl switches identities with a stranger and pulls off a long-term scam in this “wild and enjoyable” (BCCB, starred review) thriller perfect for fans of Ally Carter. BELIEVE ME; I NEVER EXPECTED things to end up the way they did. But now that they have, I can’t get all bent out of shape about it. I guess I figure I’m pretty much indestructible—I’m like one of those Super Balls: the harder you throw me, the higher I bounce. See, I don’t scare easily. I always assume I can get away with almost anything, so I do things on impulse that other people wouldn’t do for fear of getting caught. And half the time I get away with some pretty outrageous stuff. But then, of course, there’s the other half of the time, when they find out. Then everybody has sixteen hissy fits and acts all shocked and appalled. Still, I have no regrets. I don’t waste my time on regrets. What I do try to do is learn from my mistakes. Not being afraid is great; it frees you up a lot. I can’t even imagine how boring it must be to live like regular people, scared all the time. But living without fear can make your life harder. If you assume you are untouchable, you can find yourself taking stupid risks. And I am not stupid. I learned about risk-taking when I was a little kid. Back then I had no idea that there were others like me in the world; I thought I was the only one. To be honest, the whole thing seemed kind of a joke. It was funny, watching people’s faces change as it dawned on them how different I was. I’m fifteen now, but it was meeting the carnival guy the summer when I was eight years old that got me to thinking about being different, and about what it meant for my future. As usual my parents were punishing me for something or other, so they’d locked me in my room. There was this strawberry festival—nothing much, just crafts and face painting and strawberry shortcake with whipped cream. It’s not like I even wanted to go, but since they said I couldn’t, I climbed out my window that night and rode my bike downtown. I didn’t have any money to buy anything, so I sat and watched this man who had a game booth set up next to the fried dough station. Something about him caught at my attention, the way a ragged fingernail or a loose tooth will nag at you. Finally I figured out what it was. He was a cheat. He didn’t cheat all the time. Every once in a while he let somebody win a lousy little stuffed animal, but mostly he cheated. His booth was low to the ground, so it was hard for adults to play, with kiddie stuff like dolls and robots and stuffed pink animals for prizes, and the game looked laughably easy. You had to throw a ball and knock down a bottle that was about two feet away, and then you won a prize. Only, somehow nobody ever did win, except if some grown-up got suspicious and insisted on trying it. They usually won some cheap thing, but kids never won anything. He saw me watching him, but he didn’t care. At one point this little kid with a twenty-dollar bill sticking out of his back pocket came and stood near the guy, looking on as his sister tried to win a pink unicorn. The guy reached around casually and tweaked the bill out of the kid’s pocket. Then he winked at me. I waited until both the boy and the girl had failed to win the unicorn and had gone away. I walked over to the guy. It ticked me off, the way he didn’t care about me knowing he was crooked. “I could go tell those kids about that twenty you stole from them just now,” I said. The expression on his face didn’t change. He just sat there, looking at me. “Why ‘the cold’?” I wanted to know. Riding home that night, I thought about what the carnie guy had said, and from then on I began to do things differently. Before, I’d have gone home whenever I felt like it. If my parents had been asleep, I’d have rung the doorbell over and over again until they’d gotten up and let me in. Then I’d have gone to my room and shut the door against their threats and pleas. It drove them crazy that I didn’t care what they thought. Actually, I kind of enjoyed winding them up. But this time I slid back through my bedroom window without making a noise. Maybe it wasn’t as much fun, but it avoided trouble. Lately it had been like they expected me to be doing something wrong all the time, so they watched me pretty closely. If, like the carnie guy, I could lull them into a false sense of security, they might let up on the twenty-four-hour surveillance. And, do you know, it worked? After about a month of me doing mostly what I wanted to do, but hiding it, they relaxed. They started complimenting me on being so well behaved. They exchanged relieved smiles over my head as I pretended not to notice. And in a year it was like they had almost forgotten I was ever such a wild little thing. Yeah, sure, it was more effort, but I got a whole lot more freedom. I learned. And this kind of learning, as I later discovered, comes hard for people like us. Oh, we’re smart enough—we can understand difficult concepts and master complex formulae. But when it comes to getting what we want, it is our tendency to just go for it. The key is: the clever cold person learns self-control, learns to work around the ordinary people, in order to get what she wants in the long run. And the truth is, that’s kind of fun, figuring out how to cover up my trail and put the normals on the wrong scent. So, you ask, if I’m so smart, and I’ve learned to keep my true nature a secret, why am I telling you this? I don’t care if you know, because you will think that I am made up. You will think I am fictional. And if you should happen to meet me in real life, you will never, ever guess. But enough about you. Let’s go on talking about me. As I was saying, I got smart. In addition to obscuring my more questionable activities from my folks, I started keeping tabs on them. Three years ago, when I was twelve, I bugged their bedroom. You’d be amazed at the equipment you can buy online, and it’s not that expensive either. Kind of gross, some of the stuff I heard as a result, but well worth it for the nuggets I picked up, things they would say to each other but never in front of me. I can’t tell you how often that bug has saved my neck. “Why would we have any idea what the Pinckney woman did with her cell phone?” my father said, sounding annoyed. I didn’t hear the end of my father’s complaint, because I was busy getting Mrs. Pinckney’s cell out of my top dresser drawer. It was a cheap knockoff phone anyway, and I didn’t care that I couldn’t keep it. I know you can get credit card numbers and stuff off phones, but I had a feeling that if major purchases began showing up on her account, the finger of blame would start pointing in my direction pretty quickly. That woman has serious trust issues. Anyway, I wasn’t tempted by anything as blatant as credit card fraud. It’s too easy to get caught, unless you live in Nigeria or someplace far, far away. No, I could have kicked myself for taking it, but the stupid woman had left it sitting out there in plain sight. What did she expect? You don’t see me leaving things I care about lying around where somebody could lift them. Truth is, I’d taught her a valuable lesson about taking care of her possessions. Still, I shouldn’t allow my acquisitive instincts to overcome my better judgment. It’s a fault, little though I enjoy admitting to any shortcomings, and I intend to get the better of it. I let myself noiselessly in through the back door of Mrs. Pinckney’s house. (Even after having her cell stolen, she still didn’t lock the gate to her yard or her back door.) I could hear her yakking away on the house phone upstairs, to her married daughter this time. I found her gardening jacket hanging on a hook, a ratty old thing she only wore when she worked outdoors, and slipped the phone into a pocket. She’d find it soon enough. As I closed the door behind me and walked back down the driveway to the street, I realized I ought to shape up and forget about that nickel-and-dime stuff. I needed to focus on long-term goals. I have plans for my future; I am going to go to law school, and then on to a career in the corporate world or politics, or both. I’m going to have a nice house in a much nicer neighborhood than ours, and I’ll be highly respected by my neighbors and colleagues. In fact, I’m going to do much, much better for myself than the usual cold one. Since that time at the strawberry festival so many years ago, I’ve encountered a number of others of my tribe, which isn’t surprising. If you figure that the average high school has, like, a thousand students, that means that most schools would have enough of us enrolled to organize an after-school club. And when you consider that there’s probably at least one of our kind on the staff, we could even have a faculty adviser. Nah, I’m just teasing you. None of us would want to be out in the open like that, or to associate with others like ourselves. What did that old comedian say? “I refuse to join any club that’d have me as a member.” Well, I mean, duh! You can’t trust any of us as far as you can throw us. What kind of a club would that be? But the point is, people like me are out there, if you know where to look. In fact, some of them are glaringly obvious. Boys, mostly, getting in major trouble with the law because they don’t think. The girls are harder to spot; all that testosterone makes the boys act out in crazy ways, while the girls can learn to fly under the radar better. I don’t have much to do with them. Like I said, there’s no percentage in getting friendly with other people like me—there’s nothing to gain. We take; we don’t give. Twenty years from now I’ll be rich and respected. Who needs friends like that when you’re in the A-list crowd? Still, if that vision for me is going to come true, I have to be more careful, and stop doing idiotic things like stealing that cell phone just because it was sitting there unguarded. And do you know what my parents did, after all my efforts to spare them grief ? They decided to send me away to boarding school. They said it was because my mother was sick, which maybe she was. She’d been acting weird lately. To tell the truth, I think she’s smarter than my dad. The way she looks at me sometimes . . . I know I make her nervous. How was I supposed to prepare for entrance into an elite college from a reform school? No way was I going to have that on my record. But my parents were implacable. At least, my dad was. My mom just cried all the time. Anytime I tried to talk to her, she burst into tears and rushed to her room. I tried playing the guilt card. I accused them of not loving me, of thinking I’m not good enough to live up to their expectations. Dad wouldn’t budge. Mom cried. One night my father came into my room and packed a suitcase for me. Oh well. This place was kind of played out for me, anyway. Maybe it was time for me to head out, try for a fresh start. Patrice Kindl is the author of the acclaimed novels Owl in Love, Goose Chase, Keeping the Castle, A School for Brides, and several others. She lives with her husband and a variety of animals in upstate New York. 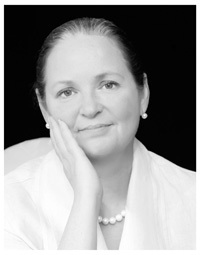 Visit her at PatriceKindl.com. 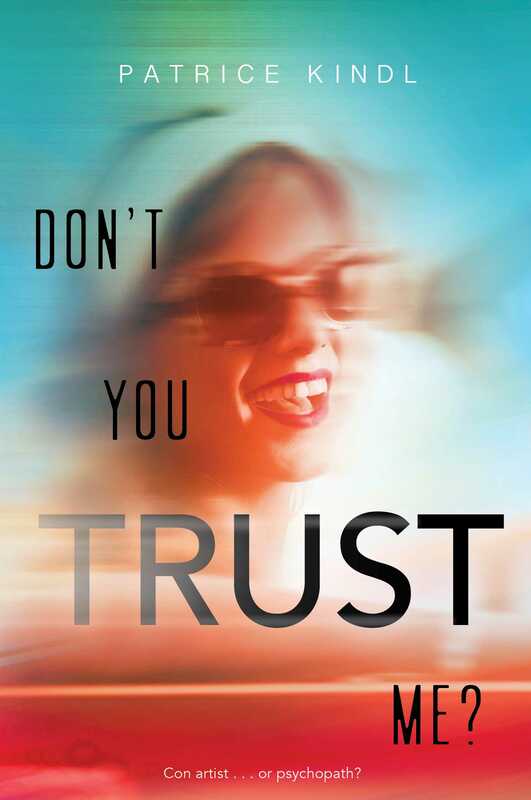 Book Cover Image (jpg): Don't You Trust Me?